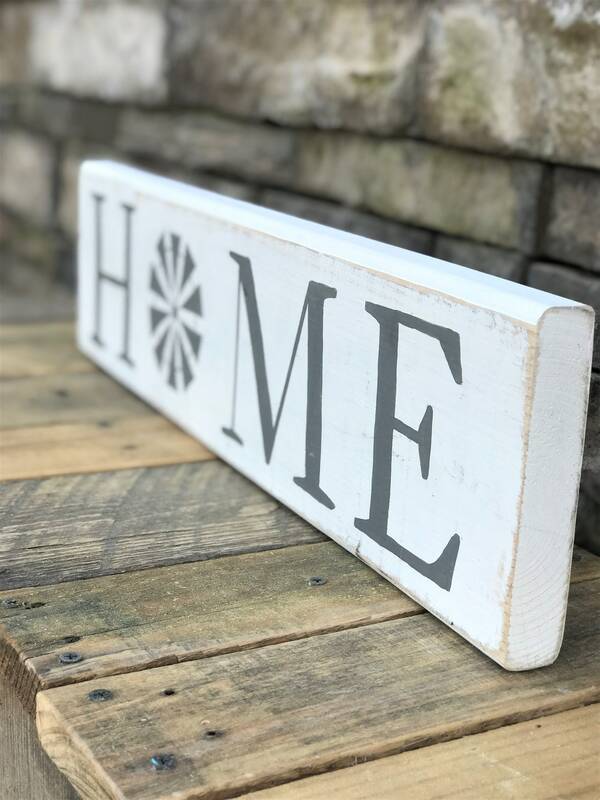 This "Home" farmhouse style sign is perfect for farmhouse decor lovers and can be used to sit on a shelf, etc. or could also be hung. It measures 22"x6"x1. 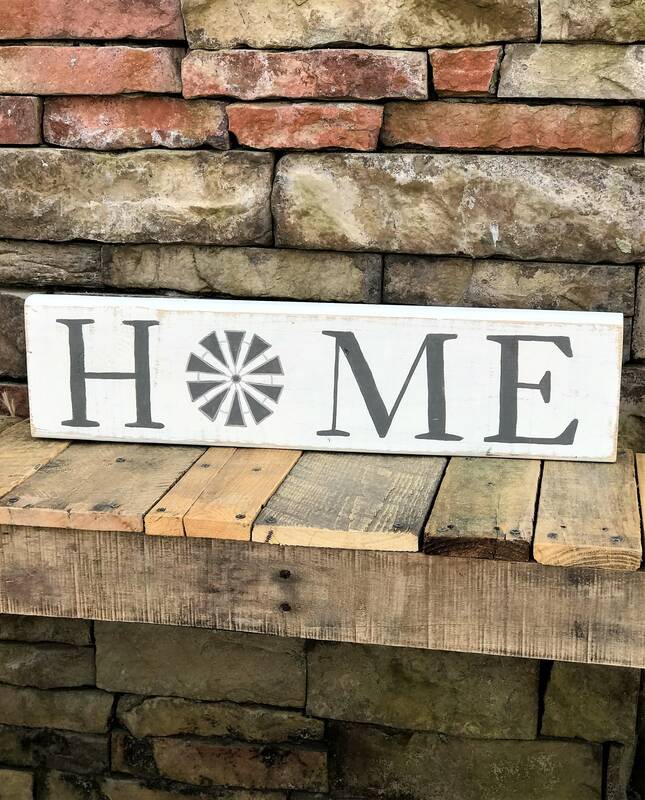 It is white with gray lettering and is distressed. All of my signs are hand painted by me (The Cranky Queen) in Waynesboro, GA. 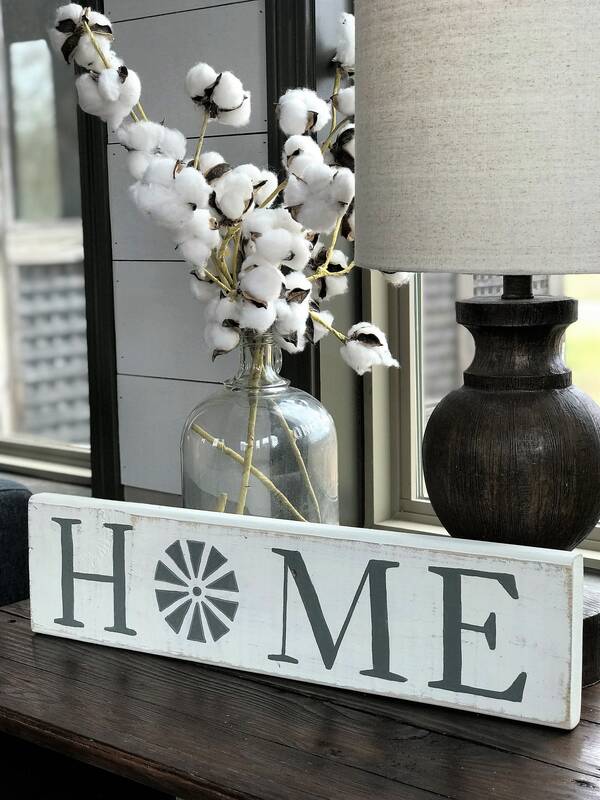 I do NOT use vinyl and typically only use reclaimed lumber. Because of these factors, each sign is one of a kind and can vary slightly, although I try my best to replicate the original to the best of my ability. Also, keep in mind that wood has natural variations and may vary slightly from one piece to another due to wood grain. 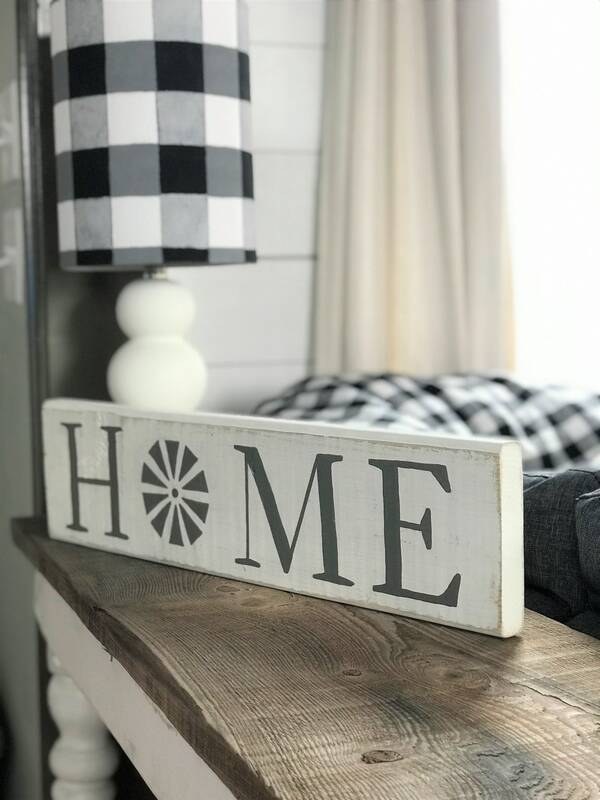 These signs are meant to have a rustic look and I think this adds to the charm of each piece.